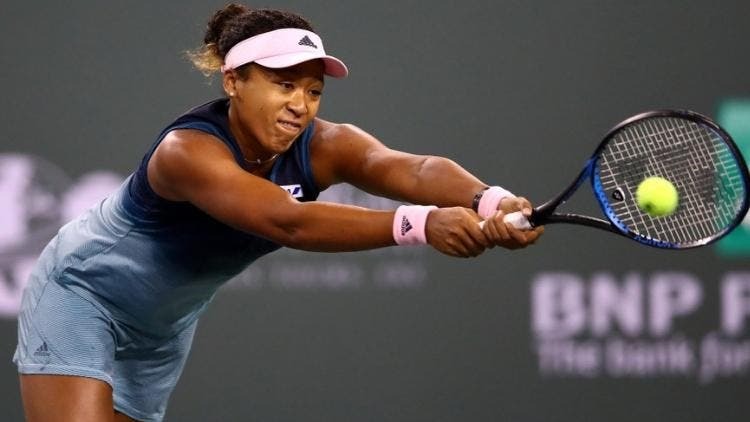 Osaka put another solid performance against Collins, enters 4th round at Indian Wells. World number one Naomi Osaka put another solid performance, defeating Danielle Collins 6-4, 6-2 in the round of 16 match of Paribas Open on Monday (local time). Collins started playing Osaka with confidence to start off the match, exchanging breaks early and saving three break points to keep the opening set on serve until the tenth game. Osaka found her mojo from there, turning around a 40-30 deficit to break and clinch the set a with a flamboyant forehand. The Japanese only increased her intensity in the second set, breaking serve first and roaring back from 40-0 down two games later to earn another. However, Collins did not go without a fight as she saved a match point on serve. Osaka soon stepped to the line to serve for the remaining match, opening the game with an ace and she earned three more match points after striking a forehand winner. after two points, the Japanese emerged victorious with the help of an amazing backhand winner. Osaka just committed 21 unforced errors and she converted four of nine break point opportunities.